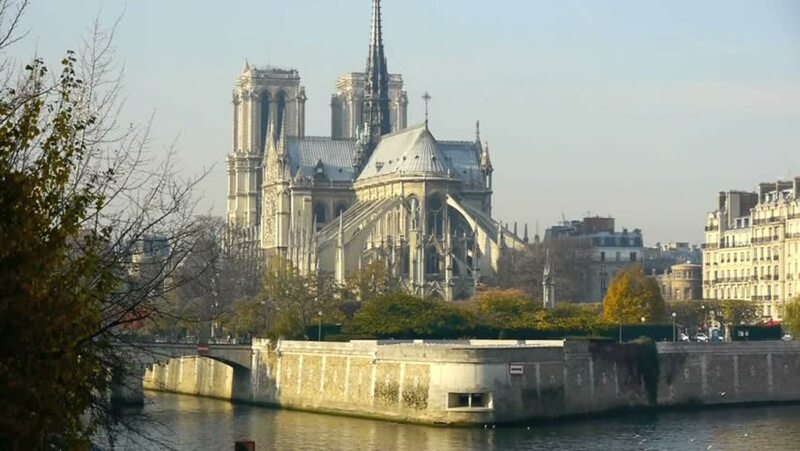 Notre Dame of Paris- Cathedral, a Gothic, Roman Catholic cathedral on the eastern half of the ÃŽle de la CitÃ© in the fourth arrondissement of Paris, France. hd00:16Boat glides across Thames river in front of Westminster palace in London, England. hd00:11LONDON, UK - SEPTEMBER 20, 2015: Big Ben and houses of parliament. View from river Thames. hd00:11Nighttime Time Lapse of the Tower Bridge in London. Dramatic change in the water level of River Thames can be seen as the tide changes. hd00:06Moscow. View of the Kremlin and the city centre.